I have a confession to make, I’m terrible at opening emails. But worse, even if I do open an email, I rarely (if ever) click-through on an offer. The thing is, I really don’t feel like I’m to blame here. I’d love to be genuinely excited about every email I receive but if I don’t understand what the offer is (or if I don’t think the email is worthy of the piece of digital paper it was written on) chances are I’ll not only delete the email, I’ll unsubscribe. To give you some guidance on what NOT to do in your marketing emails, I’ve compiled 7 emails that are way off target and what they can do to be better. Let’s make sure you’re not making the same mistakes that these seven senders are making. When you send a welcome email you shouldn’t just be sending “welcome” and end it at that. What I mean is, your welcome email is a prime opportunity to start your relationship with the recipient off on the right foot. As you can see they have the basics covered. A simple “welcome,” how to activate your account and a “thanks” to sign off, from the entire team. A friendlier hello and welcome. An offer of additional resources to help me get started with the account – such as a link to a relevant ebook, or online course so that I know how everything works. Links to the blog for additional resources. A point of contact to ask for help with the free trial. 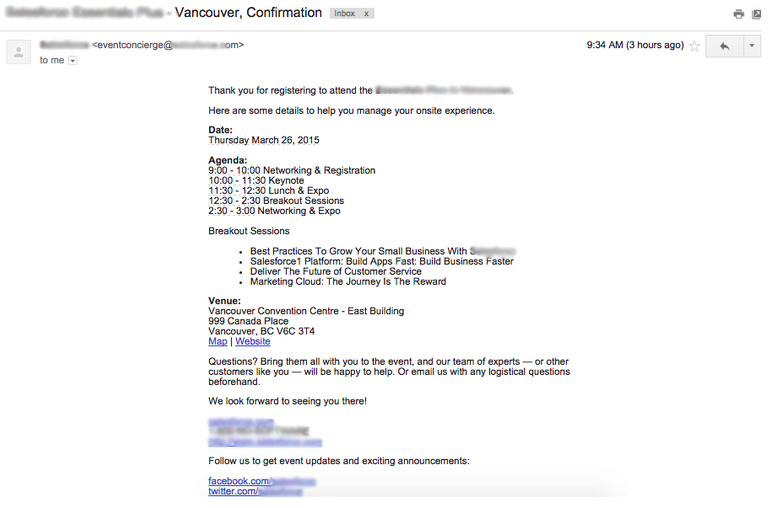 When you personalize your emails you make someone feel like they’re connecting with your company and not just the inbox. When people subscribe to the Wishpond blog we send a welcome to all of our subscribers. In the welcome email we say welcome but we also open a line of communication. We ask if there’s anything we can do to help them or if they have any other questions. It opens a dialogue between us and a customer. ‘Follow us on social media’ so they can get the most up to date information in your industry. 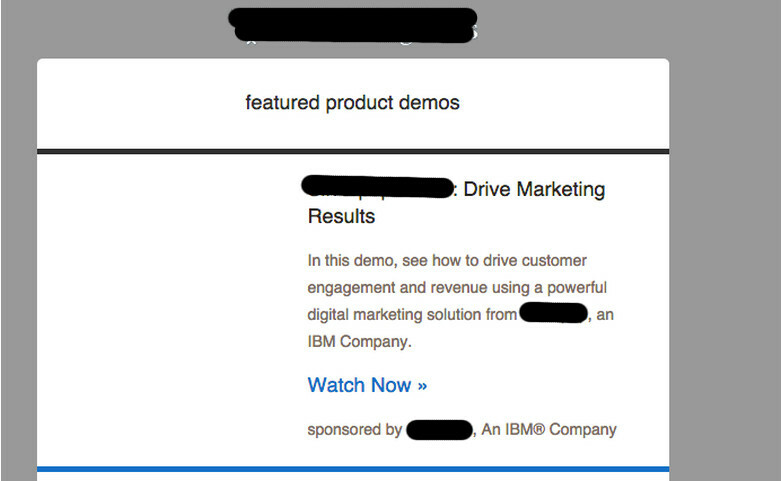 ‘Start a free trial’ if they’ve already signed up to your webinar so clearly they’re interested in your products. ‘Subscribe to our blog’: Someone may have purchased from you already and you want to keep them in the loop with new products coming in. ‘Check out our ebook collection’: They’ve subscribed to your blog but they might not know you also have ebooks. ‘Subscribe to our webinar’ if they’ve downloaded an ebook and it’s on the same topic. I like to be wined and dined before someone goes in for the big ask, it’s only fair. If I’m going to be spending my time, energy and/or resources on you, you’d better be giving me the same back. This is not always the case in the emails I receive. In fact, this happens way more than I’d like. 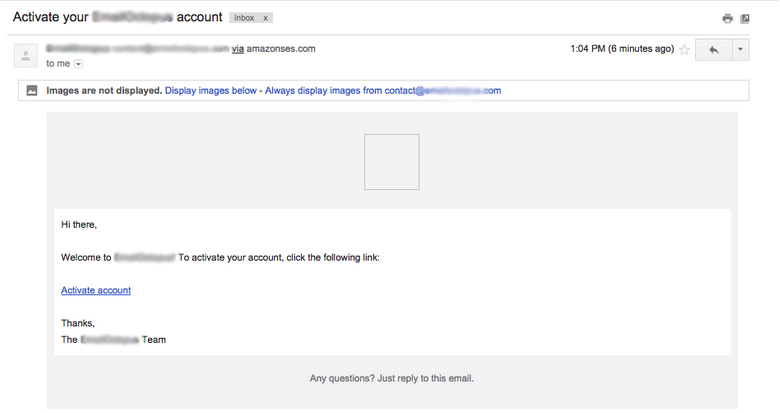 Here’s an example email of what I’m talking about. This unnamed company simply sent me three of their recent blog posts with the subject line as the title of one of the articles. 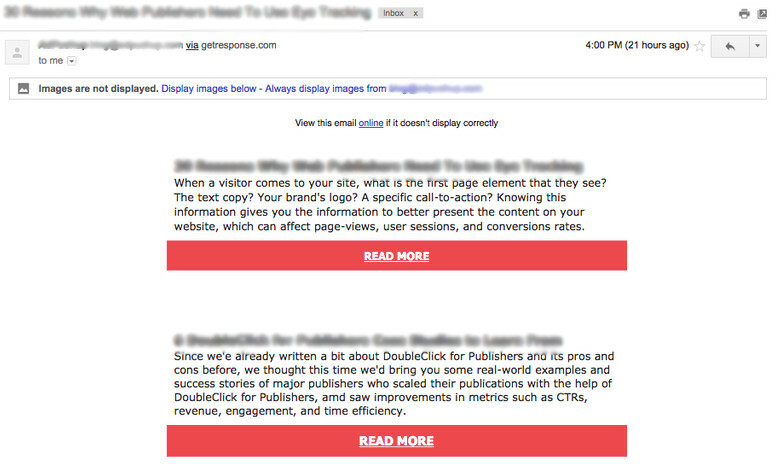 Just sending articles with no lead up is a little too pushy for my liking. Plus the subject line implies to me that there will just be that one article within the body copy but there are actually three articles in the body copy. A better subject line. If there are three articles that you’re sending let the recipient know this. Say something as a simple as “Content roundup” or “Weekly newsletter” to imply that more than one article is included. Some kind of greeting. You’re sharing content with people, not robots. How do you say ‘hi’ in person? Or do you even bother? Say “Hey there” and write a summary of the article without just copying the introduction to it. Personalize your “Sent From” name. This company just has their company name as the sender which makes it sound like they’re just pumping out content to a faceless audience. 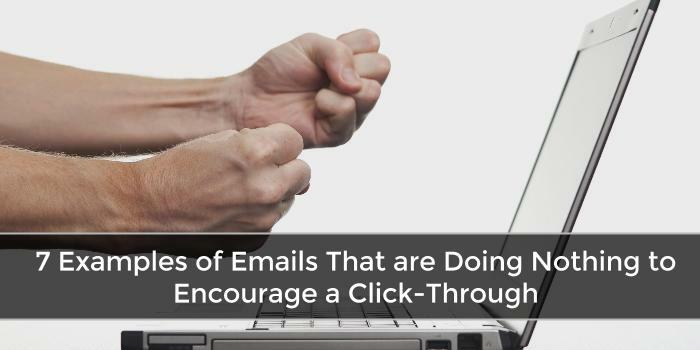 Keep in mind that emails are a one-to-one form of communication. Even though you’re sending it out to your entire email list, the person who receives it is getting it just from you. Make sure it sounds like you’re sending it to an individual and not just spamming your email list with promotional content. It isn’t going to help your business down the line. Again I’m going to say that emails are a one-to-one form of communication. This means you can’t just be sending out automated emails that sound like automated emails. I’m personally a huge fan of automation, if it’s done right. This is an email I received after signing up for a marketing event. The original email was sent by one person but this was simply a confirmation. I wanted to send you out the itinerary before the event so you can be prepared for the day but also to see if you had any questions. This event is going to be a great way for you to start networking in Vancouver and learning everything you possibly can about [company hosting]. _Here’s the breakdown… _which is where you would start breaking down the exact details. At the end sign off with the person who initially sent the email so I know who I can contact if I have any questions. Consistency is key when you’re sending emails. It would be weird to get an invitation to your best friends party but have someone you’ve never met confirm you, no? The emails you compose need to delicately balance between having way too much information and not sharing enough. Even if an email is chock full of information if it’s too long I’m going to zone out, the same way I do when people tell long stories I don’t care about. Check out the following email. You don’t need to actually read it to get my point as visually you can see, it’s absolutely massive. 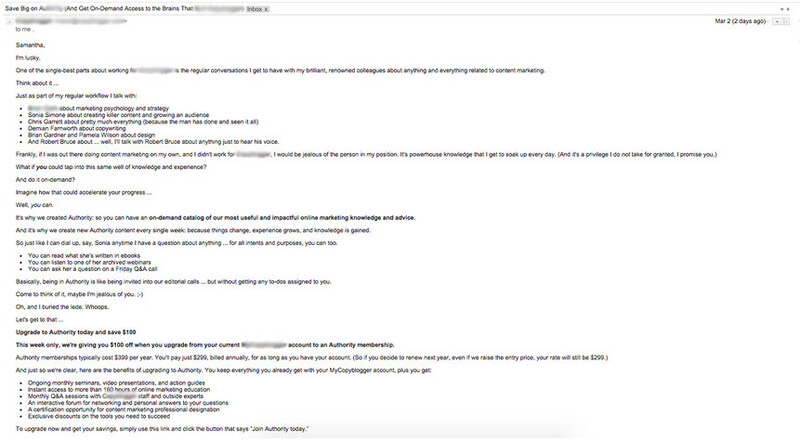 Even when I zoomed out to 50 percent of the page, I still couldn’t fit this entire email into a screenshot. Think about the average amount of emails you receive on a daily basis, it’s a lot. You can’t expect someone to read your emails if they’re too long. The point I’m trying to make is, always keep your emails as concise and to the point as possible. Your recipients’ time is valuable, don’t waste it by sharing too much unnecessary information. I personally prefer emails that have a bit of design work in them. They don’t have to be extravagant but they do need to be outside the standard “let’s put some text in and send” foray. Now, pretty much everything the company who sent this email does is awesome but it looks like they didn’t test their emails before sending them out. I know this, because I’ve checked the code and it looks like there’s supposed to be a picture beside each set of text but it didn’t come through on my end, or my coworker’s email. I’ve shared this email because no matter how well or how many times your email is sent without a hitch, it just takes one blank email sent to all of your merchants for you to be like, whoops, I should probably send a test to make sure it’s right. This is especially important when you’re incorporating photos and other design elements. When you were a kid, let’s face it, any time in your existence, have you put a fake name on something. Given a fake name? A fake number? How much did that increase once you started entering information online? What do you think the chances are of every person providing their correct name when they subscribe to your blog, download an ebook or really do anything free on your website? There’s a zero percent chance that every single person will provide you with their correct name. For the sake of keeping things simple and avoiding atrocities like the one below, start off all emails with a simple, “Hi there” until you 100 percent have their name. Email marketing is one of the most rewarding marketing channels, especially if you get it right. Take your time when you’re composing your emails. Hire a designer or find some cool templates so your emails are visually appealing. Test, test, test! What are some types of emails you receive that make you cringe? Comment below!